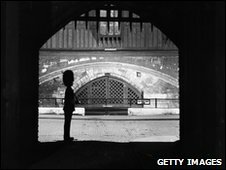 BBC News - Are laws against treason still relevant or useful? Are laws against treason still relevant or useful? There have been calls for the UK's treason laws to be used against radical Muslim groups such as Islam4UK in response to their protests about the British army's campaign in Afghanistan. But how relevant is legislation which dates back to the 14th century? Should Anjem Choudary from banned group Islam4UK be branded a traitor? Islam4UK proposed to demonstrate against the war at Wootton Bassett, where locals pay tribute to British soldiers whose bodies are brought home. The organisation's plan was greeted with outrage, with some claiming it could be considered to give "aid and comfort" to Britain's enemies, one of the definitions of treason. The treason laws are among our oldest, and most symbolic legislation. And prosecution and punishment for treason was once one of the most powerful actions the British authorities could take. But Islam4UK was subsequently banned under modern anti-terrorism legislation. And former Lord Chancellor Charles Falconer argues that "total loyalty to the state is now no longer required by the state of its citizens". So is treason an outmoded concept? Originally medieval, the laws condemning those who "compass or imagine the death of our Lord the King" or "levy war against the Lord the King in his realm" remain on the statute book today. But they have barely been used since William Joyce - "Lord Haw Haw" - was hanged for treason in 1946 after broadcasting for the Nazis. So could they still be used to prosecute in Britain? There is in fact a fascinating debate at the top levels of law and politics in Britain and beyond - about using treason law. In the US it has already happened. 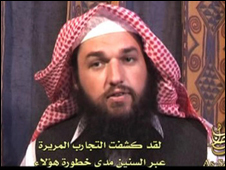 In 2006 Adam Gadahn, who had appeared in al-Qaeda propaganda, was charged with treason. He became the first US citizen to be charged with treason since the Second World War. American legal scholar Kristen Eichensehr says the mood in the US after 9/11 helped make this possible. "I think what's different about treason is the very fundamental betrayal that underlies it. It's something that has resonance not just at the state level, but something in people's individual lives." Is there a similar mood in Britain? 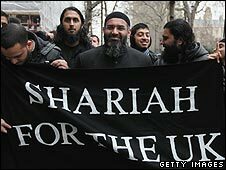 Anjem Choudary, who led the calls for the Wootton Bassett protest by the now-banned Islam4UK, says "there is a very strong patriotic feeling among the British". Talk of treason, he argues, tries "to bond people together in times of war", and is used "in order to silence people" who disagree with British foreign policy. But Lord Falconer says modern ideas of individual rights and allegiance now make treason hard to apply. People might feel their strongest allegiance to be towards their religion or even, say, to an organisation like Greenpeace. "We live," he says, "in an era where the freedom of the individual is put above practically everything else". There are still some actions, such as fighting against British armed forces, where the call for treason prosecutions is especially strong. "Treason's like an elephant on the doorstep. You recognise it when you see it. "And if you take up arms against your own country, your own state, whether in that state or abroad against that state's agents, that's an offence under the 1351 (Treason) Act." But a range of more modern laws are being used to prosecute terrorism today, and it is striking that no prosecutions for treason were brought against republican terrorists during the recent conflict in Northern Ireland. So should the old treason laws simply be repealed? Edward Garnier, the Tory shadow attorney general, has his own doubts about their practical use. But he worries about the message a repeal would send. "Would people say Parliament doesn't think it's as important as it used to be to accept that there is something which used to be called allegiance but is now called the duties of the citizen?" Lord Falconer thinks the laws remaining in force "probably do send an unhelpful signal" as far as individual rights and freedom of speech are concerned. where treason might be of value". So the idea of treason is still with us, the word is still used, even if Britain has not followed the US in reviving the use of treason law. There is, for many, still a sense of a line not to be crossed, a betrayal too far in undermining your country. Analysis: Cry Treason is on BBC Radio 4 on Monday 15 February at 2030 GMT and Sunday 21 February at 2130. Listen via the BBC iPlayer or download the podcast.